This is an older recipe that has been a staple in our house for many years. It's quick, tasty, and modifiable! 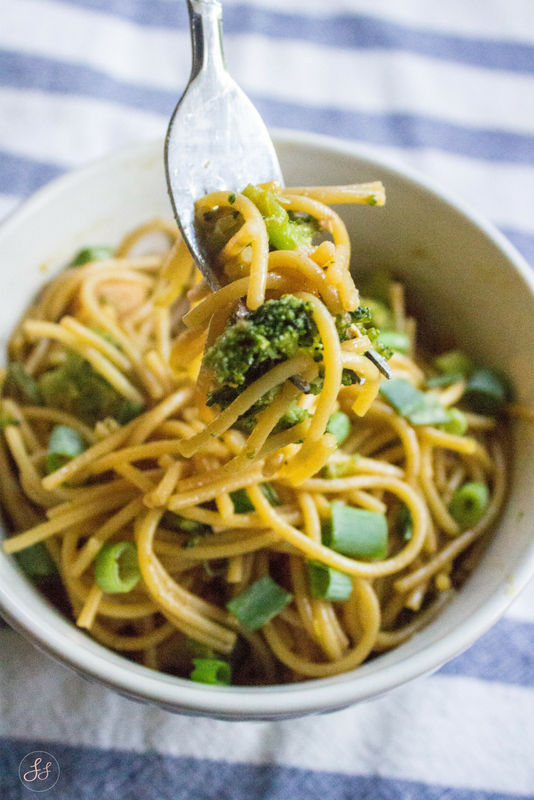 Typically I make it with Chicken and Broccoli, but it can be made with anything else! For my Vegan/Vegetarian readers, add more hearty veggies like zucchini, mushrooms, or even more broccoli in place to the chicken. Add to this tasty dish to your meal menu! 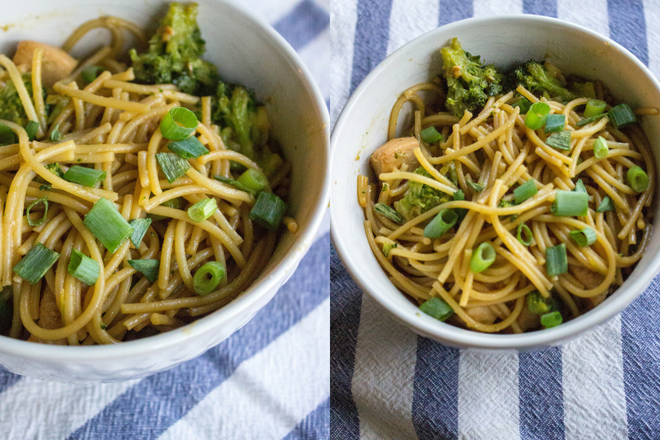 Quick, easy, gluten free, and can be made Vegan! Cook noodles according to box. 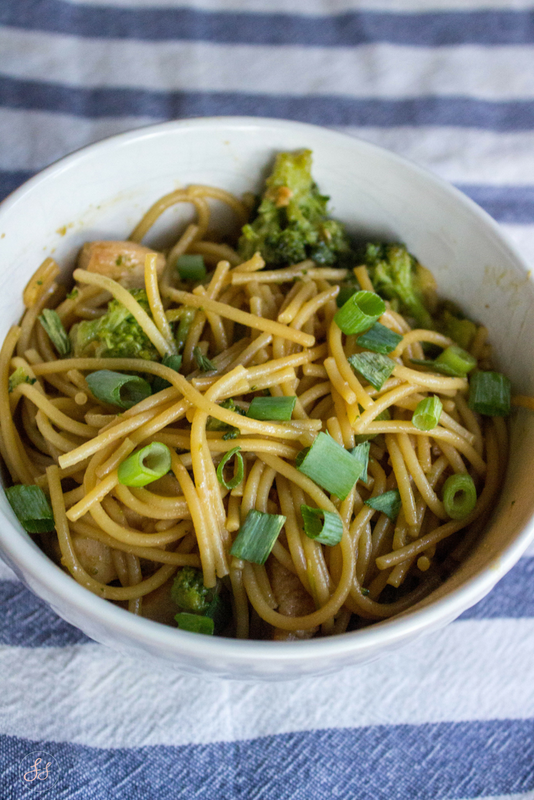 While noodles are cooking, in a small bowl mix together soy sauce, brown sugar, ginger, sesame oil, and garlic. Place 2 TBLS of the sauce in a separate bowl with your cubed chicken (or veggies) and set the rest of the sauce aside. In a wok or large pan, saute garlic and green onions. Once green onions are fragrant, add in chicken OR (if cooking vegan/vegetarian) your veggies. Once cooked through, add in your noodles (which should have been cooked and drained by this point ). Add in your sauce and mix it together. Serve in a big bowl and enjoy! *As noted before, feel free to add in more veggies if you'd like! This recipe is easily adaptable!